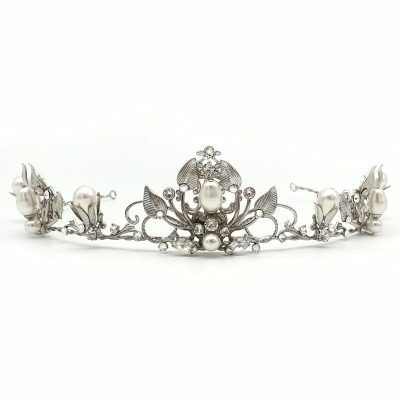 Bridal tiaras and wedding crowns have made such a comeback. 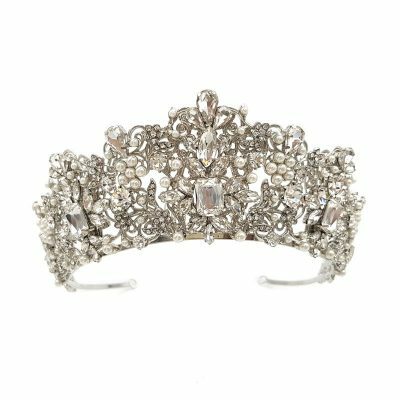 As a result, brides have embraced the royalty and regal nature of the old traditions and are now going for large statement pieces. So why should royal woman be the only ones to pull off such a statement look. 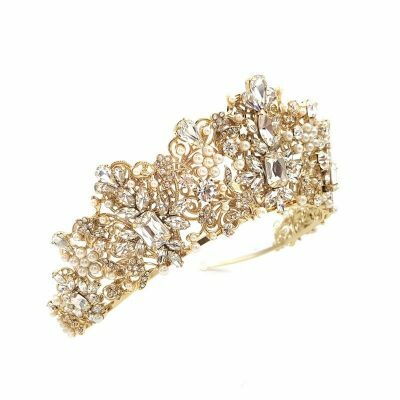 We are constantly adding to our collection to give brides a choice. 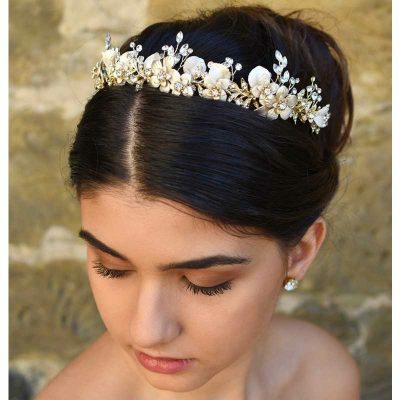 Therefore featuring smaller more subtle bridal tiaras and crowns for the more conservative bride. 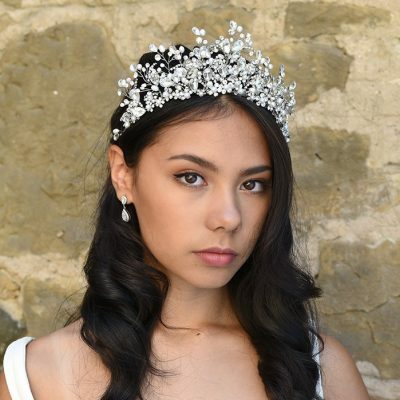 As well as larger, more elaborate bridal tiaras and crowns for the bride ready to take on the queen with her regal styling. 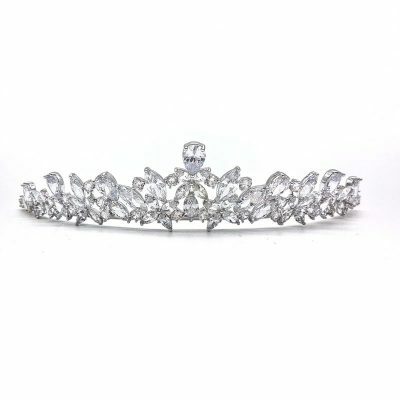 Bridal Tiaras & Crowns bring a special feel to every wedding, they add that extra touch of glamour and style. 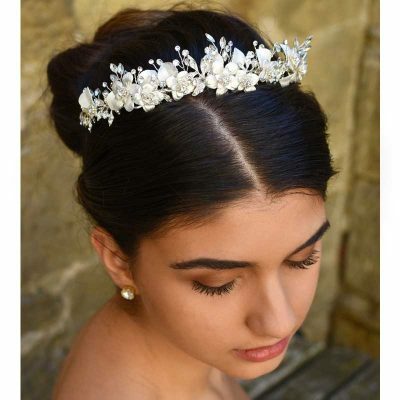 Whether it’s for the bride or the bridesmaids, they will look stunning. 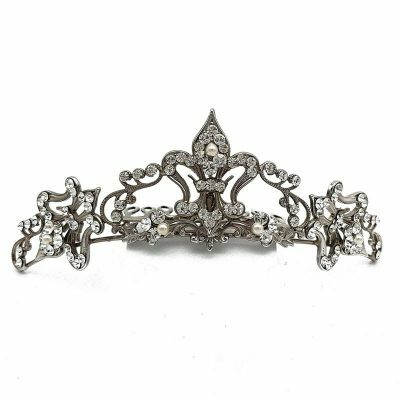 Wedding Crowns & Tiaras are very much an heirloom piece. Therefor even many years after your special wedding day, they can be handed down to the next generation. Being apart of a new exciting journey and yet again, making a statement at another amazing wedding. 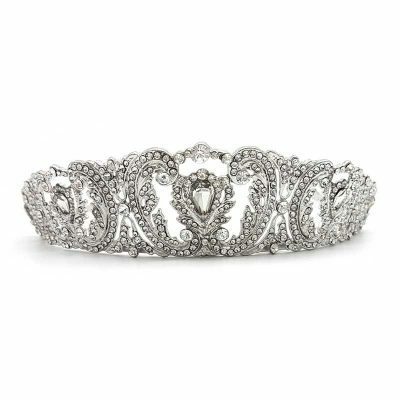 Becoming a symbol of love, elegance and beauty for both past and present generations in your family. 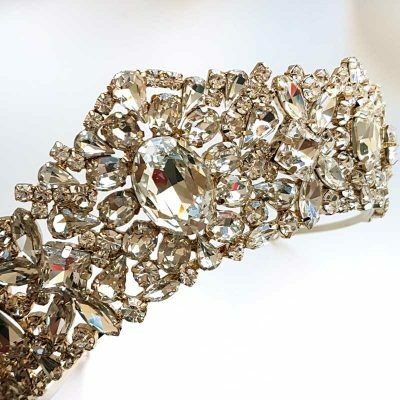 With such a special piece like this, you want it to be made from quality materials. 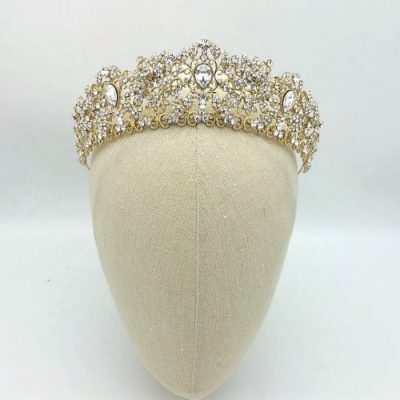 That’s why we offer such a large range of quality materials that your bridal tiara or wedding crown can be made from. Which gives you flexibility in your choice and assurance in the quality. Offering gold, silver, rhodium silver and rose gold plating’s. 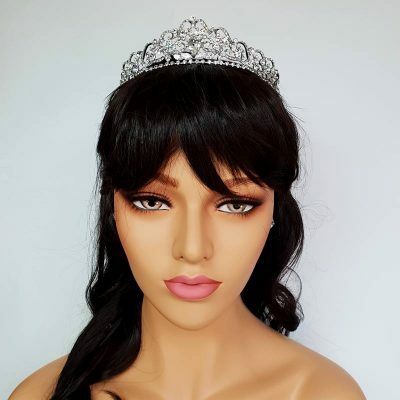 Likewise we also feature various detailing like glass beads, Swarovski Pearls, Swarovski Crystals, diamante’s rhinestones, glass pearls, Fresh water pearls and more. 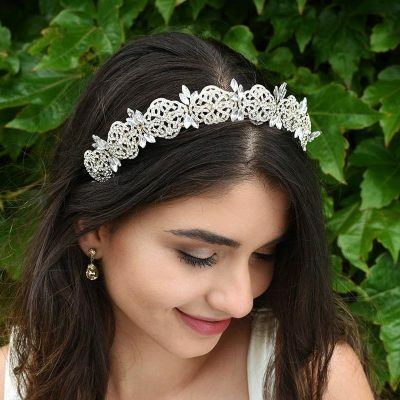 Our tiaras & crowns will make you look stunning regardless of which materials you use. 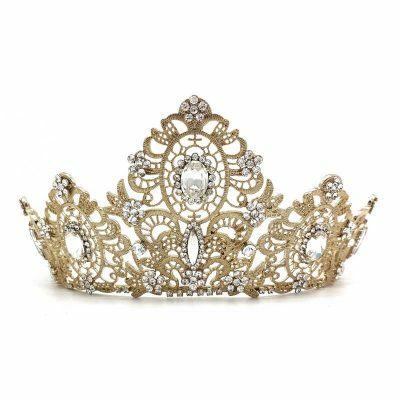 Do you need help to pick the perfect Tiara or Crown? 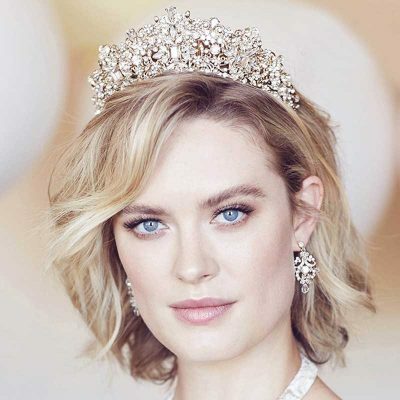 Can’t decide which bridal tiara or crown fits your style best ? Unsure of the size ? Simply go to our “Stylist Advice” page and fill out the form. 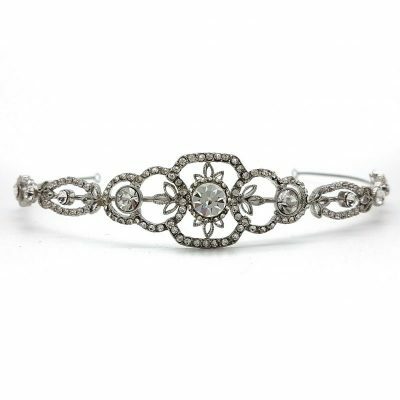 We will be able to provide you advice on which bridal piece will best suit you. We will be in touch within 24 hours.